• OD: 6.1mm, Double Shielded - Semi-rigid, solid core. - Made to length in-house as selected. - Select the fittings you require from the menu below. 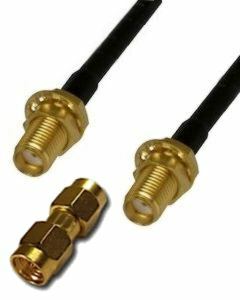 - Low-Loss substitute to the common RG58 & RG142 coax cable. 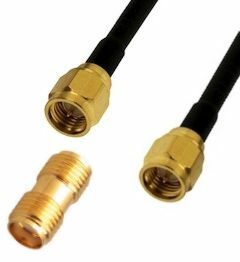 - Super Low Loss, Double Shielded, Semi-rigid coax cable. • Suit narrow wall cavity installs in Caravans etc. 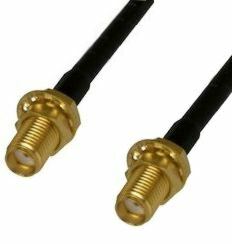 * This Patch Lead connects directly to our antenna coax cables providing a flexible interface between our LMR/LL400 coax cables and wallplates installed to thin wall cavity such as found on caravans and motor-homes and some buildings. 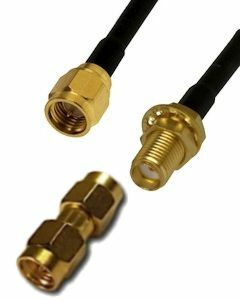 • SMA male to SMA male/female connectors available. Select the Length you need by adding cm, m and 10m multiples. For example, to purchase 12.5m add mm=500mm, add metres=2m and add 10's metres=10m. For example, to purchase 2.5m add mm=500mm, add metres=2m and add 10's metres=0m.